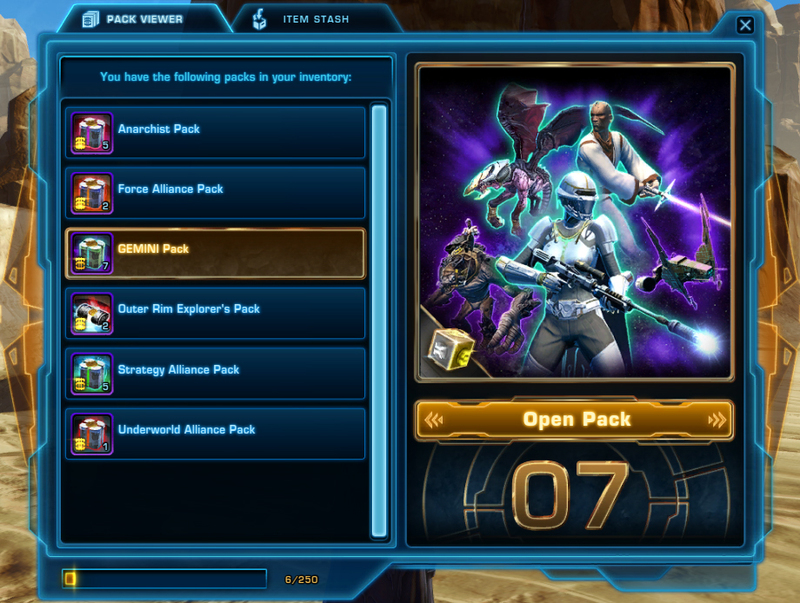 As a new feature in Game Update 4.7, BioWare is adding a new way to open cartel packs in SWTOR. With the launch of Game Update 4.7 we are introducing a new feature which will enhance the pack opening experience for all packs. This improves the visual experience of opening packs while ensuring that the process remains a quick one. There are two components of this new feature, the Pack Viewer and the Item Stash.